In talking with people about fibromyalgia, I find it difficult to help their understanding of this disease. I often hear people with beliefs that are incorrect. These include my previous physician. She is no longer my doctor because I believed that she did not take this seriously. Most lay people don’t disbelieve you have an illness, but it is misunderstood. I attempt to share my knowledge, gained mostly from the book, “Figuring Out Fibromyalgia: current science and the most effective treatments,” by Ginevra Liptan, MD. I posted my review of this book on my blog, but I think there are a few myths that can be debunked rather quickly in a shorter format, and so I have added this page. I have cited my sources by giving page numbers from the book, and you can find more information there. I also cite sources to assure the reader that this information is not just my own opinion, but backed up scientifically. Myth #1. This is no more than a wastebasket of symptoms. There are numerous symptoms attributed to this illness, seemingly random and unrelated, but they should not be relegated to the wastebasket as meaningless or unrelated. The illness has abnormal test findings. These tests are normally done only in research settings, but they are proof that fibromyalgia is an illness. Page 5. Myth #2. An O.T.C. analgesic or prescribed pain med will control the illness. 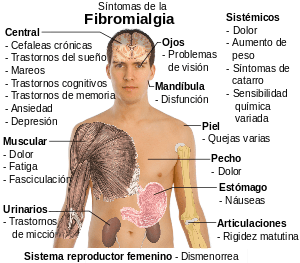 Pain medication is important to the fibromyalgia patient to relieve pain, but other possible symptoms include poor sleep, bowel or urinary dysfunction, foggy brain, short term memory loss, fatigue, poor balance, and depression. A patient may not experience all of these symptoms, but the physician should explore all of a patient’s complaints in order to address the whole person. See chapter 15 (Page 135) for an overview of pain medications, including opiates and NSAIDS. Myth #3. You need a new mattress. When a fibro patient says she had a poor night’s sleep, one should not assume it is the fault of an old or unsuitable mattress. Poor sleep is one of fibromyalgia’s major symptoms. 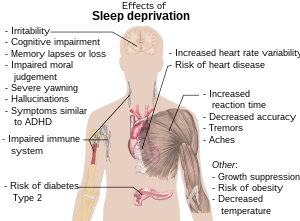 Recent science has pointed to an interruption of the normal sleep cycle, when the patient does not experience the deep sleep necessary for tissue repair and healing. The nervous system is stuck in the fight-or-flight response, a condition controlled by a deep primal part of your brain that is out of one’s conscious control. This causes poor body healing, due to low growth hormone secretion that is a function of deep sleep. It also causes fatigue and other symptoms (see below). One technique that can help reverse this stress response temporarily is controlling your breathing. See Page 105-107. Myth #4. Taking an over the counter or a prescribed sleep aid will help you to sleep better. The commonly used sleep aids do not help in restoring the deep sleep phase of a normal sleep cycle. You may sleep longer, but not better, and none of them has proven to reduce the symptoms of pain and fatigue. Current research has not yet discovered a reliable and safe sleep aid for this dysfunction. Page 144. Myth #5. This is an unknown disease. Fibromyalgia has been documented for more than 200 years, but it was called by other names, notably, rheumatism and fibrositis. There are 8 to 10 million people in the United States with Fibromyalgia, more than lupus, multiple sclerosis, and Parkinson’s disease combined.